A former air ambulance advanced care paramedic may no longer be treating wounds mid-air, but he is still caring for the wounded and broken. Bryan Stevens is the founder of Frontline Forward, an organization and facility designed to support and educate front-line workers affected by occupational stress and dealing with post traumatic stress disorder (PTSD). He experienced PTSD first-hand and made the decision to retire early as a result. 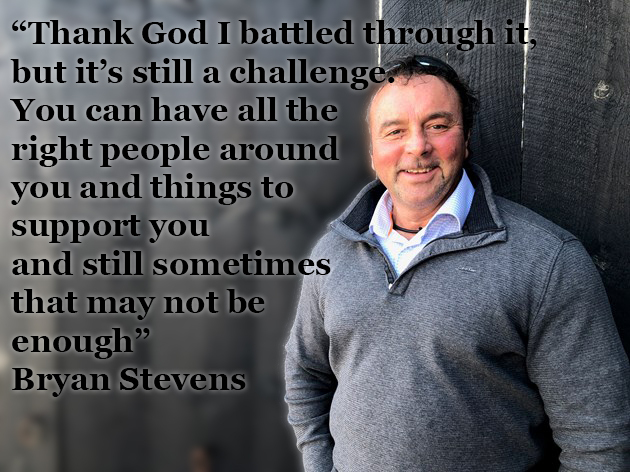 Through a support system, professional counselling, physical therapy, meditation and more, Stevens has learned to cope with PTSD and work through the symptoms. A first-responder from Collingwood died by suicide earlier this week. Mike Scott was a firefighter at Central York Fire Services in the Newmarket and Aurora area. Before that, he was a firefighter on The Blue Mountains Fire Department. Scott’s family asked for donations to Frontline Forward in lieu of flowers. Stevens said Scott was a good friend, and the two talked often about working as a first responder and dealing with PTSD. Scott’s funeral is today, and Stevens came to Collingwood with his wife, Angie, to attend the service. Understanding was the first hurdle for Stevens, a 30-year veteran paramedic with 12 years in Peel Region (Mississauga) and 18 years as an advanced care paramedic for Ornge based in London.